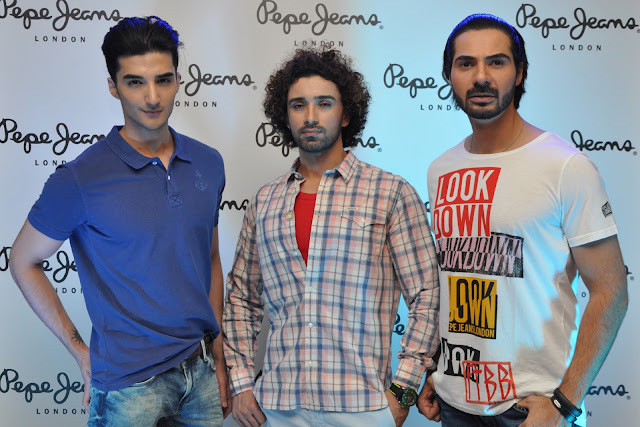 PEPE JEANS LONDON launches in Pakistan! International Fashion Brand PEPE JEANS LONDON launches in Pakistan! The world’s leading young fashion brand, Pepe Jeans London is launching in Pakistan through a series of flagship stores in Lahore and Islamabad in JUNE 2015. The brand is being introduced in Pakistan by seasoned entrepreneur Saad Javed Akram who through this launch in Pakistan furthers Pepe Jeans’ global fashion legacy spanning over 40 years across more than 70 countries. The brand’s store will retail the Pepe Jeans London Spring/Summer collection for 2015 featuring urban leisure wear with a fashion edge, for women, men and kids. In Capital Islamabad a glamorous Red Carpet is hosted by Super models, on Wednesday 17th June, 5:00 Pm to 8:00 Pm. Venue: Pepe Jeans London, 1st Floor, The Centaurus Mall, Islamabad. Event handled by Rezz PR and Events , Makeovers of models by Sobia’s Salon . With over 250 stores located globally, Pepe Jeans London is acclaimed for its ability to evolve, excite and to lead trends. The brand remains at the front of the fashion pack delivering the strongest denim-led fashion for Men, Women and Kids along with footwear and accessories. Over the years the brand has been represented by names like Kate Moss, Ashton Kutcher, Sienna Miller, Cristiano Ronaldo, Alexa Chung, Edie Campbell and current British It girl of the moment, Cara Delevingne. Speaking about the launch of Pepe Jeans in Pakistan, the dynamic young CEO Saad Javed Akram said, “Pepe Jeans London is all about creating directional denims and trend-led young fashion. It has been at the forefront of international denim-led fashion for the past 40 years. Few fashion brands can claim to have the same level of international success and we are proud to bring this legacy to Pakistani patrons”. Starting life on the streets of London’s Notting Hill in 1973, it didn’t take long before the capital’s most trend-savvy hipsters were flocking to Portobello Market to lay their hands on a pair of the most in-demand jeans of the day, Pepe Jeans London. Indeed from its origins as a market stall to a global fashion force, Pepe Jeans London is now launching in Pakistan.